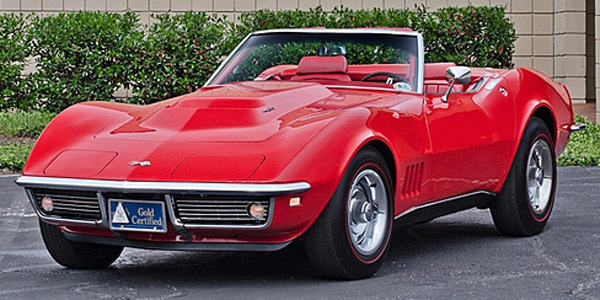 Finding a genuine original Corvette L88 is always a big deal; production was 20 in 1967, 80 in 1968, and 116 in 1969, for a total of 216. And by most authoritative estimates, fewer than half of those still in existence have been located and confirmed. As an option code on the 1967 to 1969 models, L88 was an almost secret offering. Chevrolet actively discouraged L88 orders from dealerships and the public. Just what was all the fuss about? The L88 was capable of 171 mph at Le Mans and sported more than 500 horsepower. It was developed for the track and never intended as a boulevard cruiser. At the heart of the L88 package was a 427 similar only in block casting to the big-block engine first offered in 1966. After two years of development, almost every other component was reconsidered for power and racing endurance. The engines were all built at the Tonawanda, New York plant and featured the CanAm-spec aluminum heads with 2.19-inch intake and 1.84-inch exhaust valves.